"Your essential guide to the natural world, showcasing the wonder and beauty of wildlife and helping you to experience and enjoy nature more. 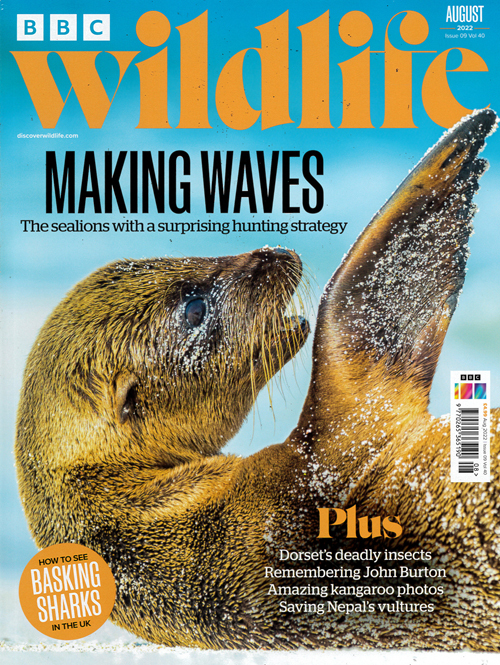 Packed full of breathtaking images, informative features, British wildlife, practical advice and much more. This is a must have read for everyone with a passion for the natural world. If you like feeding the birds in your garden, spotting wildlife in the British countryside or going on safari, then it´s the magazine for you! Experience the wonder and beauty of nature through the inspirational images of the world´s finest wildlife photographers and enjoy fascinating features on the animals and the world around us. Plus, all of our practical advice, expert tips and ideas for great days out will help you to understand, experience and enjoy nature more." Published in English - Monthly. Allow 6-10 weeks for initial delivery.